The Tasmanian Symphony Orchestra (TSO) enjoys a national and international profile. German-born Sebastian Lang-Lessing has been the orchestra’s Chief Conductor and Artistic Director since 2004. Established in 1948, the TSO holds a unique place among Australian state orchestras due to its size and areas of expertise. With a full complement of 47 musicians, the TSO is an ideal interpreter of music of the Classical and early Romantic periods. Resident in Hobart’s purpose-built Federation Concert Hall, the TSO plays throughout Tasmania and, since 2005, has presented an annual Sydney Season at City Recital Hall Angel Place. International touring has taken the orchestra to North and South America, Greece, Israel, South Korea, China, Indonesia and Japan. Major international soloists who have appeared with the orchestra in its 60-year history include Vladimir Ashkenazy, Paul Badura-Skoda, Daniel Barenboim, Alfred Brendel, Håkan Hardenberger, Nigel Kennedy, Radu Lupu, Igor and Valery Oistrakh, Heinrich Schiff, Isaac Stern and Paul Tortelier. A versatile orchestra, the TSO has also appeared with a range of popular and jazz acts including Kate Ceberano, James Morrison, Anthony Warlow and The Whitlams. 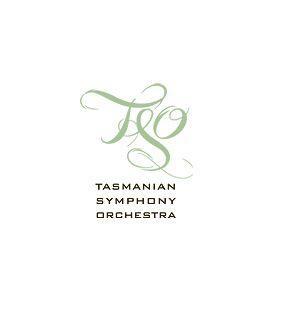 For more information on the Tasmanian Symphony Orchestra, including its performance schedule, please visit their website.